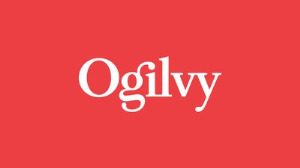 Ogilvy won a total of 16 awards. The official awards ceremony will be held at the Kigali Serena Hotel in Kigali, Rwanda, on Thursday, 16 May. "The past two African SABRE Awards competitions have attracted entries from across the continent and spotlighted great work in multiple markets and multiple practice areas," says Paul Homes of The Holmes Report and judge chair of the awards. This year’s awards saw a record number of entries from countries across the continent including Kenya, Morocco, Uganda, Ghana, Nigeria and South Africa. "The SABRE Awards highlights the industry’s most compelling work, focusing on initiatives that drive real business impact," says Pete Case, CCO, Ogilvy South Africa. "Winning a SABRE is a great validation for the increasingly strategic role of insight-driven and measurable communications. It’s also a proud moment for our teams — a reward for their dedication and a win for ourselves and our clients," adds Case.